Food is a staple of Italian-American film and TV, from Martin Scorsese to The Sopranos, but BIG NIGHT offers the ultimate onscreen banchetto. 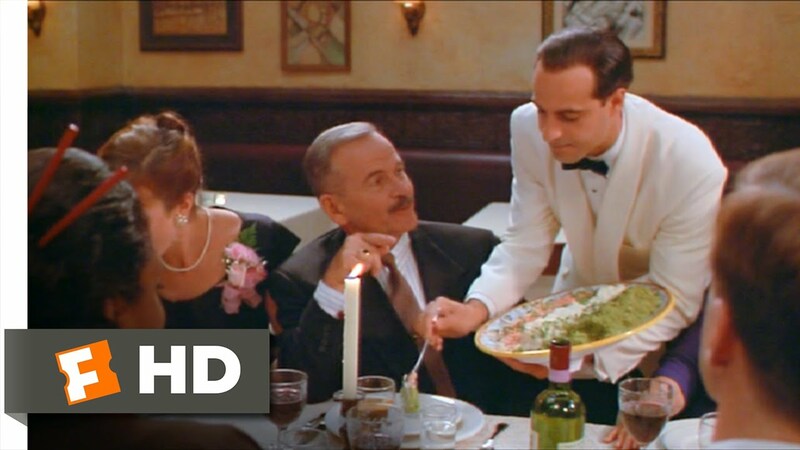 Stanley Tucci plays the restaurant owner who plans to turn around his ailing fortunes with one almighty culinary blowout. The pièce de résistance is the creation of a timpani – a spectacularly mouth-watering pie filled with meat, fish, cheese and pasta. Following the screening, for those with dinner & film tickets, a specially prepared three-course meal inspired by the film will be served at our partner restaurants in town – The Riverside, The Galley and The Table. Please Note: Menus are now available Here and you must book your place direct with the restaurant at which you wish to dine. Only click on the BOOK NOW button below if you wish to eat at The Riverside, if you wish to eat at The Galley or The Table then please ring them direct. Please note there is no film screening at this event. doughnut or slice of cherry pie! Our Midnight Feast screening of George A. Romero’s seminal shocker that singlehandedly devised the modern zombie – arguably cinema’s most ravenous gourmand. Its flesh-eating antics might be more stomach-churning than appetite-whetting, but after fifty years this claustrophobic classic has lost none of its bite. Exclusive video introduction from British film director, Ben Wheatley. Screening preceded by a selection of horror inspired cocktails in The Riverside bar.